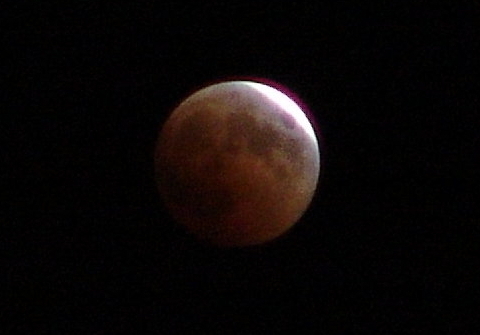 Winter Solstice offers us a rare grand finale to 2010 with a total lunar eclipse in the very wee hours of December 21st. According to net geeks who have run searches and calculations in Gregorian and Julian calendars, the last time a winter solstice presented a total lunar eclipse was back in the days of Pilgrims and the Plymouth Colony in 1638. How long ago was that? 1638 witnessed the first historical mention of Barnstable (Cape Cod), as well as the death of legendary clergyman John Harvard. Back in the “Old World,” the Thirty Years War would still rage for another decade. 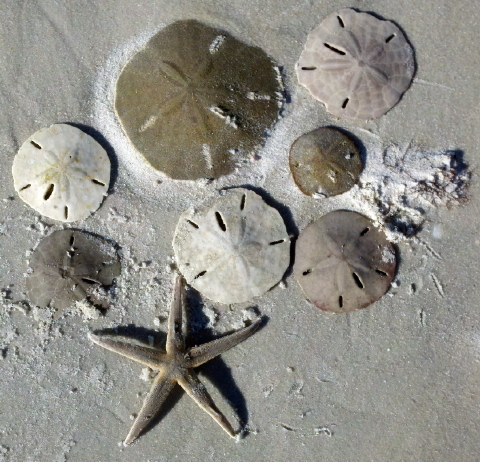 Since Turtle Journal claims no special astronomic or astrological skills, we can’t independently confirm the 1638 date. In fact, yesterday’s Montreal Gazette reported that NASA calculates the last time the winter solstice and a total lunar eclipse happened at the same time was 1554. Yes, for those historical scholars amongst us, that was the year Elizabeth (future Queen Elizabeth I) was tossed into the Tower by her half sister Queen Mary; the year that Lady Jane Grey, the usurper, was beheaded alongside her husband; and the year Walter Raleigh was born. Whichever date, 1638 or 1554 proves correct, it has been a long, long time since we’ve had the chance to celebrate the winter solstice with a total lunar eclipse, and never before in the history of the United States of America. So, on Monday evening, make your preparations. Sometime in the early, early hours of the 21st, around 1:30 am, the moon will become partially engulfed as it moves toward total eclipse. 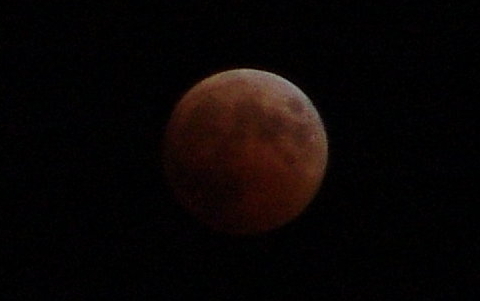 The night will drag a burnt orange pallet across craters and valleys until totality arrives around 2:40 am. Because the weather forecast threatens snow showers for Monday night and Tuesday morning, Turtle Journal has spared no expense to invent an elegant time machine to provide its loyal readers an early and clearer vision of this rare event. We had no intention to allow New England winter weather to spoil this once-in-half-millenium happening. Naples Vanderbilt Beach in December: 1-2-3-Jackpot! 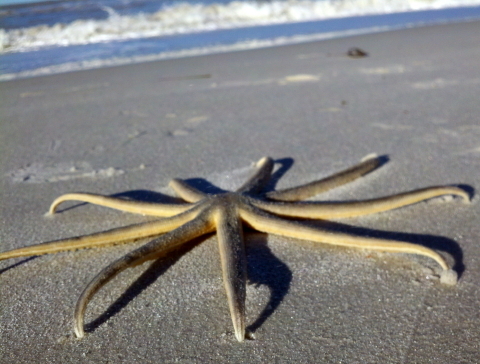 Sue Wieber Nourse of Turtle Journal scoured Vanderbilt Beach in Naples, Florida this Monday after a stormy cold-front riled up the waters of the Gulf of Mexico. As she began strolling Vanderbilt, Sue found a brittle star tossed ashore. 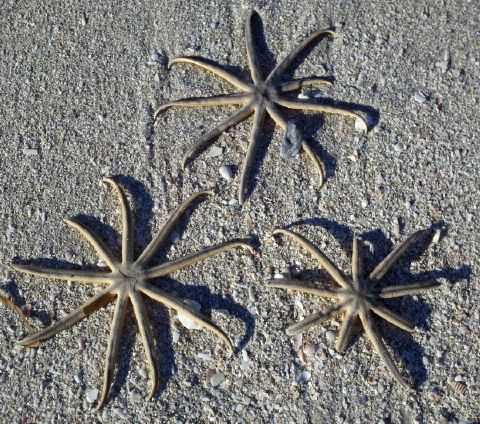 A few paces south she discovered a pair of brittle stars that had also washed up on the beach. 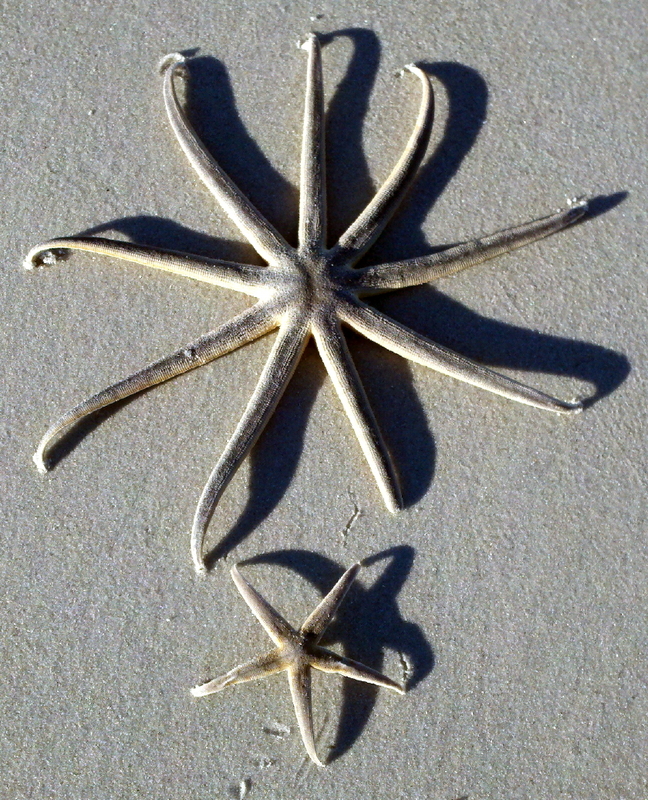 Not too far down the beach, Sue hit the metaphorical jackpot: another brittle star guarding seven sand dollars. Don’t spend them all in one place, Sue, unless you’re buying a sand castle or juicy mud pies. 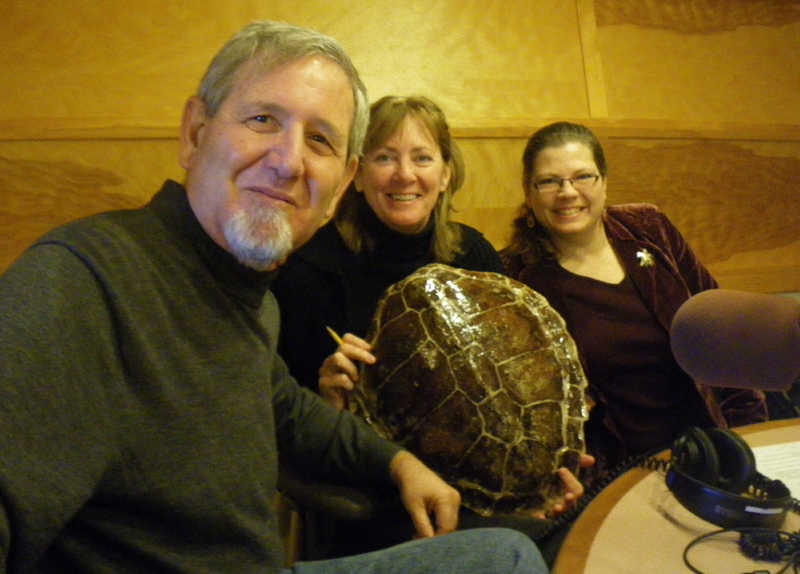 On Tuesday morning, December 7th, Mindy Todd, host and producer of The Point on Cape and Islands NPR Station WCAI, interviewed Turtle Journal’s Don Lewis and the National Marine Life Center’s Kathy Zagzebski about this fall’s large number of sea turtle strandings on Cape Cod. Before the show began, Don, Mindy and Kathy … joined by the shell of a juvenile loggerhead sea turtle that had succumbed to cold-stunning in a previous stranding season … prepared for the 9:30 am broadcast. 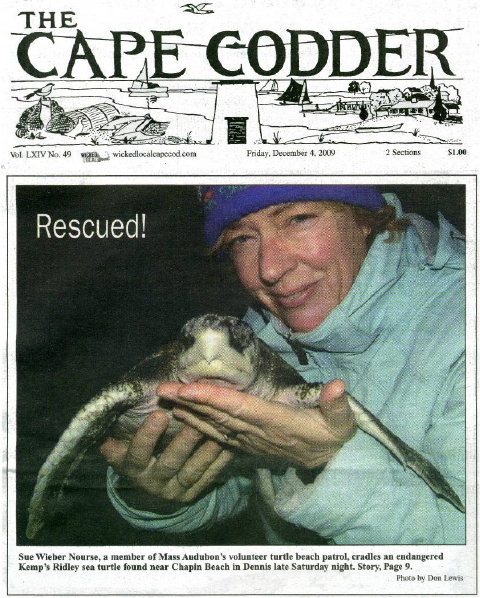 By 2 pm on Monday, December 6th, 174 cold-stunned sea turtles had been recovered from Cape beaches, and four more sea turtles had been sighted, but had not been recovered by rescuers. Of these 174 turtles, 160 were identified as Kemp’s ridleys, 13 were green sea turtles and one was a hybrid, possibly a ridley-hawksbill. One hundred twenty-five turtles were found alive on the beach, and 45 had already succumbed by the time rescuers reached them. 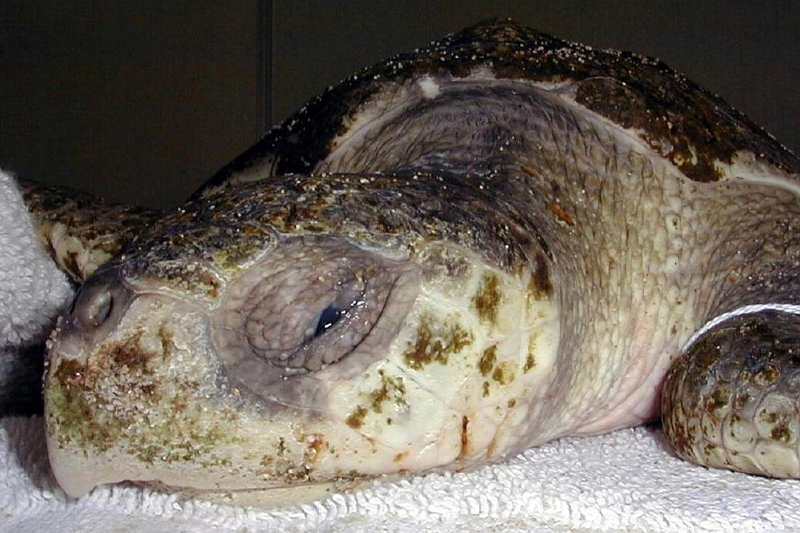 Another 12 turtles died after being recovered alive. One hundred twenty-two turtles were transported to the New England Aquarium for emergency medical treatment. Early morning on the 7th, another five Kemp’s ridleys were recovered from Eastham beaches; two of which were found alive. The Point interview from December 7th has been archived on the WCAI/WGBH web site and can be accessed by clicking here. Mindy Todd, of NPR’s the Point, will host a program on Tuesday morning, December 7th on WCAI/WCAN (90.1, 91.1 94.3) from 9:30 to 10:00 and again in the evening at 7:30 to 8:00 pm to discuss the record number of sea turtle strandings on Cape Cod this fall. In addition to the FM band, you can listen live to the Point by clicking on Mindy’s photograph above, which will bring you to the NPR web site. 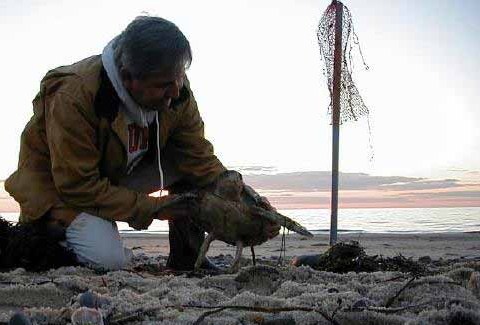 Don “The Turtle Guy” Lewis and Kathy Zagzebski, President & Executive Director of National Marine Life Center, discuss sea turtles and the high numbers stranding on Cape Cod beaches. Mindy archives her programs, too. You can listen to last Christmas Eve’s interview on this same topic by clicking here. Later this week, you should be able to access Tuesday’s interview. Three-Year-Old Boy Saves Endangered Sea Turtle. What Did You Do Today? Read the full story by clicking on the title above. 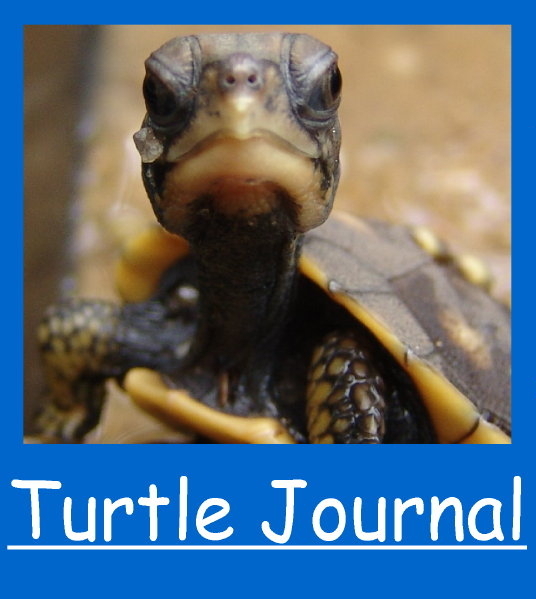 You are currently browsing the Turtle Journal blog archives for December, 2010.